We consider ourselves very lucky to have Andi on our team. Someone of her caliber and experience will bring a whole new dimension to our blog and other content avenues. AccuQuilt welcomes quilter and writer Andi Reynolds who is joining the company as a guest blogger. 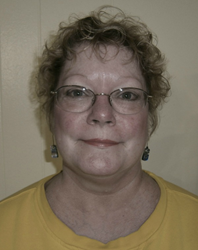 Reynolds will be writing on a variety of quilting topics based on her extensive experience in the quilting industry. Reynolds has been a writer and editor for 30 years and a quilter for 25. She is a generalist when it comes to writing and an author’s editor, striving to maintain each writer’s voice. Her quilting interests are hand piecing and applique, hand quilting, quilt history, the ongoing quilting revival and the quilt industry. A graduate of the University of North Carolina at Chapel Hill, her bachelor’s degree is in urban anthropology, and she also has a master’s in economic geography. She has been an economist, a disability rights activist, and a non-profit executive director. Following almost five years as the executive book editor for the American Quilter’s Society, Reynolds retired and has resumed the freelance life. Suzan Ellis, director of marketing content for AccuQuilt stated, "We consider ourselves very lucky to have Andi on our team. Someone of her caliber and experience will bring a whole new dimension to our blog and other content avenues." Headquartered in Omaha, Neb., AccuQuilt offers quilters, fabric crafters and retailers a premiere line of fabric cutters, dies, quilting patterns and other quilt and fabric cutting solutions that help quilters quickly and accurately cut shapes for quilting and fabric crafts. AccuQuilt also offers quilters a wide variety of rich educational resources to enhance their quilting experiences. Cutting with AccuQuilt cutters is a natural evolution of fabric cutting methods. “First scissors…then rotary…finally…AccuQuilt” for fast, easy, accurate fabric cutting. For more information, visit accuquilt.com or call 888.258.7913.